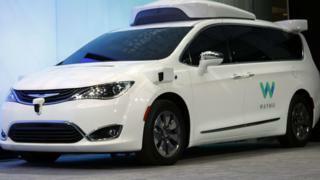 The number of human interventions in journeys made by driverless cars from Google company Waymo in California more than halved in 2016. For some companies the records show a very small amount of mileage covered by the autonomous cars. In other US states with self-driving regulations - including Nevada, Michigan, and Florida - there is no requirement for public disclosure of this type of data, which is why, for example, not much is known about Uber's autonomous vehicle testing. Ford only reported 590 miles driven in 2016, all in the month of March. It only has two autonomous cars in California, but has a much larger fleet in Michigan, where reporting is not required. Meanwhile BMW recorded one disengagement in its 638 miles of autonomous driving in March and April 2016, because lane markings on Highway 101 were not clear enough. The operator's reaction time was recorded as "under two seconds". The companies that reported to the California DMV were: BMW, Bosch, GM Cruise, Delphi Automotive Systems, Ford, Waymo, Honda, Nissan North America, Mercedes-Benz, Tesla and Volkswagen. In the UK, Volvo is expected to begin testing its autonomous cars on the roads this year.